The Renova Skin Clinic in Jaipur is the best treating center for moles, warts and tags. Dr. Puneet Goyal is a skin specialist with vast experience in the mole, warts & skin tags treatment. It depends on the skin type and the condition of the moles after which the expert decides the treatment. Laser is not the first step to treat the three - moles, warts and tags on your skin. At Renova Skin Clinic other alternatives are also tried/suggested before trying the laser. If this doesn’t work then comes the Laser treatment. Any laser will heat up the blood of the vessels ultimately destroying them. This may also damage the virus that caused the warts, moles and tags. Use of CO2 Laser is one of the oldest applications to remove all three: moles, warts and tags. Benefit of using Co2 Laser is that the wavelength can be varied. Also it does not kill the moisture of the skin. Co2 laser treatment is one of the effective treatments for this condition. The treatment procedure may require multiple sessions but the results are permanent. The benefit of using the Co2 Laser is that it removes the skin lesions without much harming the skin. The healing is faster in the laser procedure. 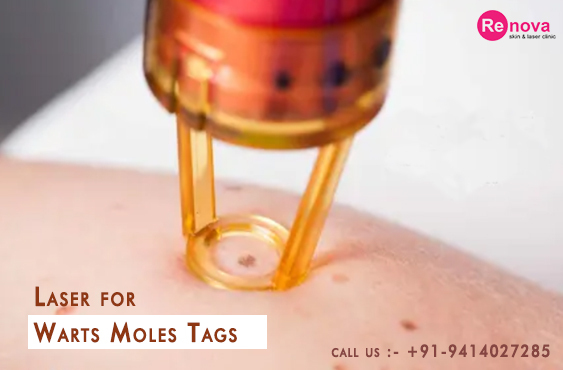 How removal of Moles, Warts and Tags with Laser Works? The doctor will examine the moles, warts and tags. They will use the high beam laser to cut just the top and observe the results. A local anesthesia is given to treat the skin site. The beam of laser light is high to burn the cells of the skin. The process in turn causes the lesion on the skin to contract/shrink. It applies in all the three types of skin disorders. " On which body parts can the laser removal be tried for warts, moles, and tags? The laser removal for tags and moles can be tried on neck, hands or any other clear skin. But these cannot be treated for areas like ears and face. Is Laser procedure for removal of warts, moles and tags Painful? No, the procedure is not painful. The treatment uses high intensity laser beam which can cause irritation or tingling in some. The doctors may apply local anesthesia to ward off this issue. What are possible risks & Side effects of laser used to remove warts, moles and tags? There is no possible side effect of using laser to remove warts, moles and tags. The surrounding skin is not affected at all. The only issue of redness, swelling, itching and dryness of skin may arise. But these will subside after few hours. How many follow-up sessions are neededfor moles, warts and tags and why? Other than moles and tags, the warts removal may take a couple of session depending on the type of skin, warts and other health issues. What to expect after warts, moles and tags Laser Removal Treatment? 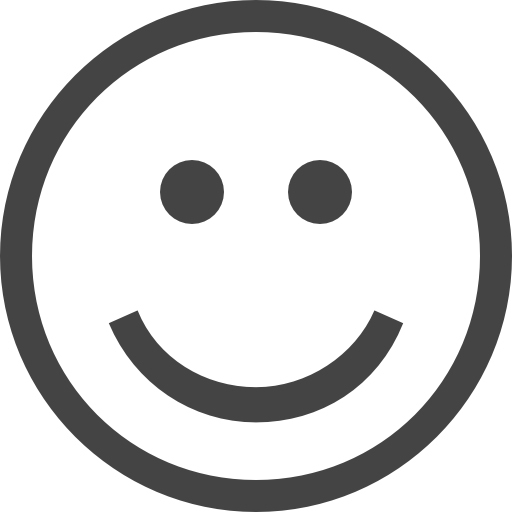 The healing time after the removal of warts, moles and tags is different. Like for moles, warts and tags also takes about 2-3 weeks as the healing time. In case, you see the recurrence of the same, consult your skin specialist. How long lasting the results of warts, moles and tags Laser Removal Treatment? There are very less chances of warts, moles and tags to recur as the cells are of the affected area are damaged. They can appear again only if the some cells were missed. There is no age limit as such. But the children below 13 cannot undergo the Laser treatment for removal of warts, moles or tags. The individual should also have potential for scarring (if there be any) and ability to understand the procedure. Any healthy person is a good candidate for Laser Warts, Moles, and Tags Removal procedure. Other than these the individuals who are pregnant or suffer with cancer should avoid any Laser Treatment. The patient should not be suffering with cancer or any other skin disease. The Laser Skin Tightening works well for all the skin types. Moles may take 90-120 seconds. Warts may take couple of minutes in each session. Before the Laser strategy for Mole, Warts and Tags, the patient ought to evade Sun tan and extended periods Sun exposures. After the laser treatment, the patient should deal with the skin properly. They should utilize appropriate Sunscreen moisturizers when going out in the Sun. In the event that, they experience any swelling, tingling or redness at that point utilization of icepack is best suggested. Try not to miss to take the anti-toxins and torment relievers which the specialist proposes. Yes, the treatment is good for both men and women. Only the pregnant females are advised not to take treatments through Laser. Thanks Dr. Puneet Goyal for treating my mole with laser technology, You very sensible and down to earth person. Now my mole completely disappeared. Only 5 things to say - Very Professional, Absolutely Straight forward, Fully Transparent, No Hidden Charges & Good Results. My Wart Vanished with no pain. I got laser treatment of my skin tags on back side of neck which is done by Dr. Puneet Goyal and Mam with good result. Great place for Skin tags treatment .Nice supportive staff & expert doctor.